In September of 2004, SkyFarming Pty Ltd started looking around the Mt Barker area to see what possiblities existed for a small windfarm. 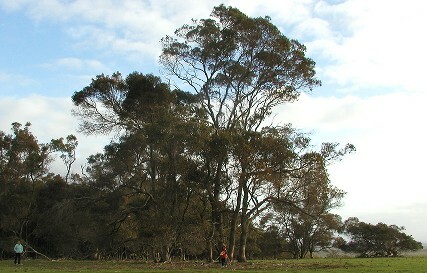 Similar to the Albany windfarm and the Denmark proposal, the windfarm would be sized to match the local load, the township of Mt Barker. An attraction was the local substation dropping the voltage down for local distribution from one of the two 132kV transmission lines running north south. Another is the altitude of the area, Mt Barker is officially 250m above sea level, SkyFarming expected the wind resource to be good. In mid 2005, monitoring equipment was installed on an existing mast on the top of Mt Barker Hill to confirm this and development on the project began in earnst. A project company with it's own website has been established, click here for further details about the project, www.mtbarkerpower.com.au.